What is a Hitachiwagyu Beef Registration System? For the proof of the genuine Hitachiwagyu Beef provider, Ibaraki Hitachiwagyu Beef Promotion Association issues the certificate for designated restaurants or retaillers and wholesellers. In Japan, all the Hitachiwagyu Beef farmers and the traders are registered to promote and uphold the standerds for Hitachiwagyu Beef. 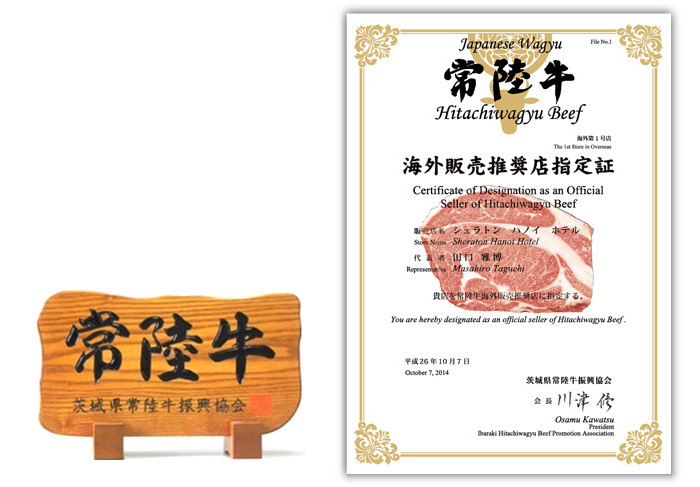 Not only the production side, the retailers and restaurants are registered as a Hitachiwagyu Beef official seller. by the carcass trading system standard. Want to Become a Hitachiwagyu Beef Registered Seller?